Let me help you begin your journey back to health with Acupuncture, Herbal Medicine and Asian Body Works. THANK YOU for your interest in Hudson Acupuncture and Traditional Chinese Medicine. The World Health Organization (WHO) and the National Institutes of Health (NIH) suggests Acupuncture for many conditions. Visit the Treatments page for a list of their recommendations. Traditional Chinese Medicine is also an effective complement to many western medical treatments to help reduce or control side effects and to enhance treatment effectiveness. More and more people are choosing this form of healthcare because it works so well and in some instances better than conventional treatments. It also addresses medical conditions in a holistic fashion that will focus on the root of the problem to obtain results. Please visit our Testimonial page for accounts from patients about the benefits they've received from this medicine. Are you unsure about trying acupuncture? Call me today for a free consultation and we’ll help determine if acupuncture and traditional medicine is right for you. Concerned about the needles, I can address your concerns with needle free treatments by using the wisdom of Traditional Chinese Medicine with acupressure, herbal medicine and other non-needle therapies. Acupuncture care is covered by many Major Medical Insurance companies. Many policies cover initial evaluations, treatments and even adjunctive modalities. You can contact me with your insurance information and I will contact your insurance company to determine coverage before your first visit. This will help determine any out-of-pocket expenses before treatment begins. 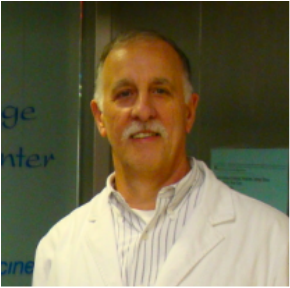 Frederick Bernier, MSTOM, L.Ac., a New Jersey Licensed Acupuncturist that is Nationally certified in Traditional Chinese Medicine. As a graduate of the prestigious Pacific College of Oriental Medicine in New York City, received a Master of Science Degree in Acupuncture and Traditional Chinese Medicine and was trained to integrate the Western Biomedical perspective with that of Traditional Chinese Medicine. While training he served as an intern at Pacific College's Medical Clinic that treats a large population of patients with diverse medical conditions. Hudson Acupuncture is conveniently located in Bayonne, NJ and have early morning, and weekend appointments available. Again, thank you for your interest in the clinic and congratulations on choosing a natural health pathway and taking control of your personal well being. ​Acupuncture is the insertion & manipulation of hair-thin needles into specific points that lie along meridians throughout the body to encourage healing, improves mood or energy, relieves pain and improves the function of various areas of the body. Asian Body Works is a manual therapy using techniques ranging from soft energetics, to deep and vigorous manipulation to affect soft tissue, structural alignment and the meridian systems. Adjunctive therapies such as moxibustion, cupping, guasha and external liniment applications are also used as needed.